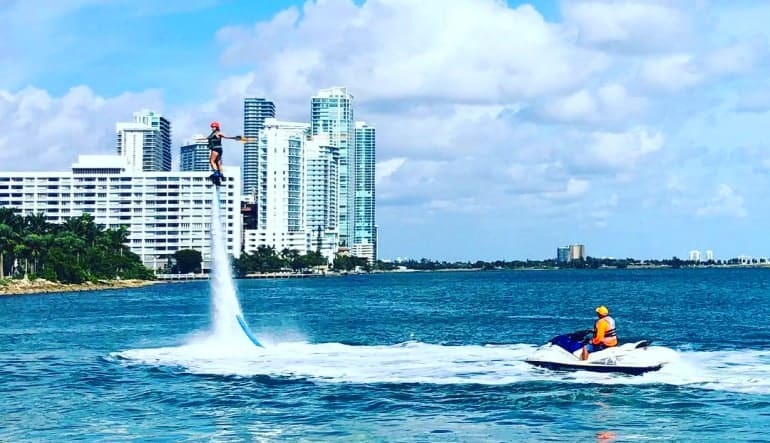 Soar through the air like your favorite superhero on a Miami flyboarding flight! 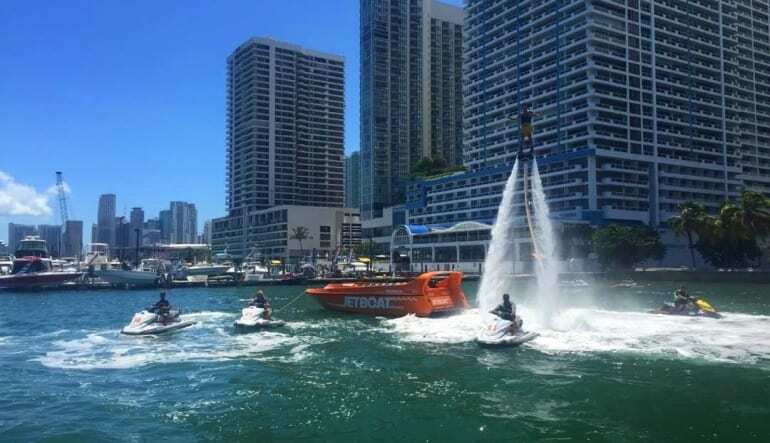 Enjoy the exhilarating feeling of weightlessness as you levitate 10 feet in the air and skyrocket across the water. 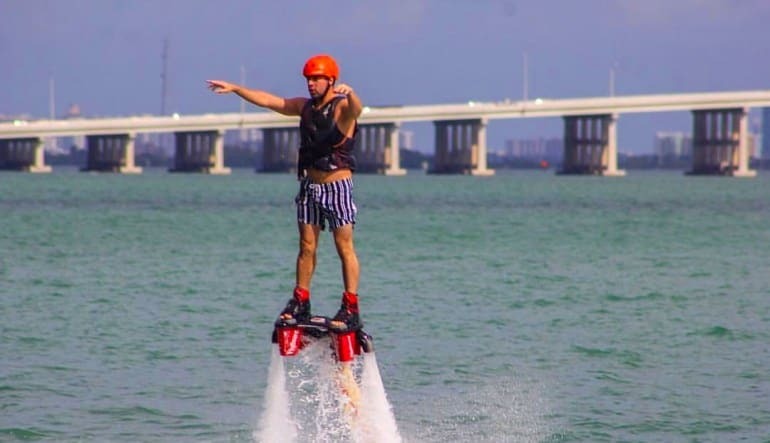 In fifteen minutes, you’ll get a great taste of what it is to fly jetpack style. You can even put your hero prowess to the test and try your hand at more advanced moves like donut turns, underwater submarine dives, and hands free flying!